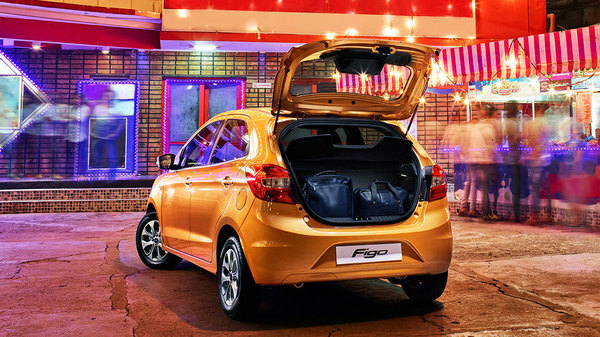 Unlike in the past when Figo was just a hatchback, as we all know, Ford has also launched a compact sedan based on the same platform. 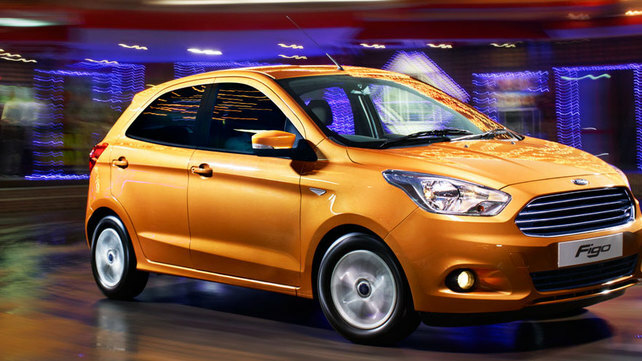 And while the compact sedan came first, it’s the hatchback, the new Ford Figo that’s making an appearance now. The car will be added to Ford India’s line up tomorrow (September 23), but the powertrain details and official pictures are already out. Before we start talking about the looks, let’s recapitulate the powertrain choices for the car. 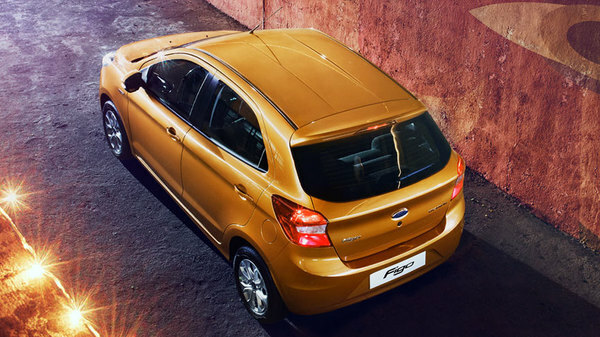 Engines are to be carried over from the Figo Aspire. The range will start with the 87 Bhp 1.2-litre petrol, while the diesel engine will be the 99 Bhp 1.5-litre unit. 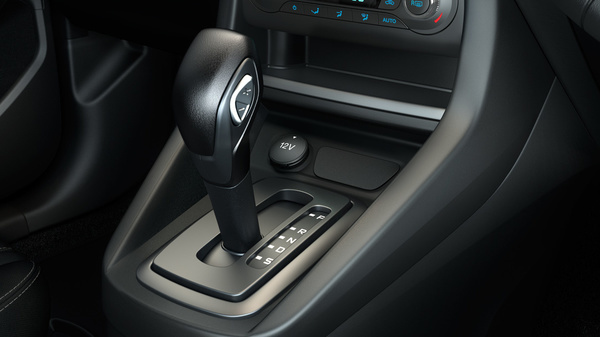 Transmission duties will be taken care of by a 5-speed manual gearbox, but for those looking for an automatic, Ford will also offer a 1.5-litre petrol engine (108 Bhp-140 Nm) mated to a dual-clutch automatic transmission. In terms of looks, it carries a front end and side profile identical to that of the Figo Aspire, albeit with some changes: new wheels, slightly different looking grille etc. But unlike the Figo Aspire which has a rear end which could be described as bland at best, the Figo hatchback continues with wraparound taillamps. There are prominent lines at the rear, too, which add to the look. On the inside, the car loses the beige and black colour combination of the Aspire and instead gets an all-black treatment. 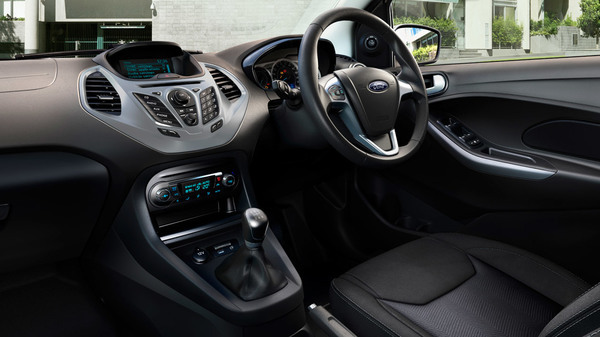 To ensure it doesn’t get too monotonous in the cabin, Ford has judiciously used silver accents for AC vents, steering wheel and interior door handles, while the centre console is finished in silver. Like in the Figo Aspire, the feature list is going to be decently long, with things like 6 airbags, SYNC infotainment system, climate control among others being offered on the top variant. The lower versions are likely to be offered with the smart cellphone dock in place of SYNC, and two airbags as part of the standard equipment. Prices aren’t announced yet, but with smart pricing for the Aspire (and EcoSport in the past), Ford India has shown that it understands the market well. And things aren’t going to change with the new Figo, either.